When someone in a school community is diagnosed with cancer, people usually want to help but may not be sure where to start. Cancer in the School Community is a guide for school staff who would like to support students, families and colleagues affected by cancer. The content is relevant for all primary and secondary school staff and it may also be useful for parents, students and family members. PD on bladder and bowel health issues in children with or without a disability. Covers development, skill acquisition problems and practical strategies. Schools need to be allergy aware and work with parents, guardians and children in the management of anaphylaxis. These resources provide guidelines and information for managing anaphylaxis in a school environment. DonateLife Western Australia is part of the Department of Health WA (North Metropolitan Area Health Service). It coordinates all organ and tissue donor activities across Western Australia. The agency works with hospitals and hospital-based DonateLife medical specialists and nurses across Western Australia to provide professional donation services and encourage best practice to increase donation rates. 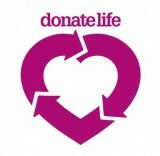 DonateLife WA aims to raise awareness about organ and tissue donation, encourage discussion about donation, offer compassionate support to donor families and manage effective services in organ and tissue donation. School education resources and information on organ and tissue donation are aligned to the learning descriptions in the Australian Curriculum and are now available for both teachers and students. The manage my asthma kids club is a free club for kids with asthma aged 5-12 years. The club aims to provide children and their parents with asthma information in regular newsletters and also provides free one on one asthma education. There are also regular giveaways, competitions and resources. Our agency can provide health promotion and information on healthy bladder and bowel function for students. We can provide professional development for professional and support staff on how to manage bladder and bowel health issues ( including incontinence – either wetting or soiling, constipation and urgency) in typically developing as well as students with disabilities.